When all signs point to heartbreak, can love still be a rule of the road? A "touching father-daughter story" ("Kirkus Reviews") from the author of "Bittersweet "and "Twenty Boy Summer." Jude has learned a lot from her older sisters, but the most important thing is this: The Vargas brothers are notorious heartbreakers. She's seen the tears and disasters that dating a Vargas boy can cause, and she swore an oath--with candles and a contract and everything--to never have anything to do with one. Now Jude is the only sister still living at home, and she's spending the summer helping her ailing father restore his vintage motorcycle--which means hiring a mechanic to help out. Is it Jude's fault he happens to be cute? And surprisingly sweet? And a Vargas? Jude tells herself it's strictly bike business with Emilio. Her sisters will never find out, and Jude can spot those flirty little Vargas tricks a mile away--no way would she fall for them. But Jude's defenses are crumbling, and if history is destined to repeat itself, she's speeding toward some serious heartbreak...unless her sisters were wrong? 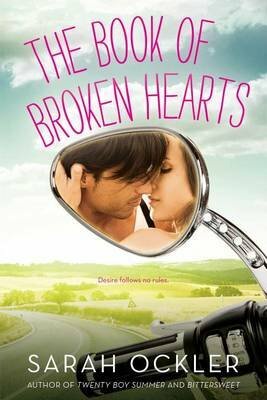 Jude may have taken an oath, but she's beginning to think that when it comes to love, some promises might be worth breaking.